The species is widespread in parts of southern Britain, with few widely scattered records in the north. It is widespread in western and central Europe. 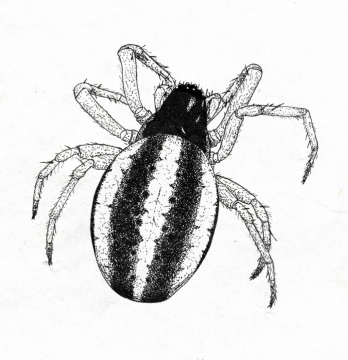 This species spins orb webs on low vegetation, often on calcareous grassland but also in damper areas of heathland, acid grassland, and other tussocky and rough grasslands. Crocker & Daws (1996) also note that occasional specimens may be found on low shrubs. Both sexes are adult in early summer.